Russian transformer manufacturer Elmash (UETM) has sent one of its most powerful transformers to the Czech Republic for testing. The number of operating test branches in Russia has declined sharply in recent years and the pre-existing test benches of FSUE VEI, SIC VVA (Moscow), MIS (Tolyatti), UETM (Yekaterinburg) and others, have now either completely ceased to exist or have significantly reduced their test capabilities due to obsolescence of the existing equipment. This means that, in order to comply with the GOST technical standards, transformers must be sent to foreign stands for testing. Tests are expensive, and the cost of a mistake is very high, so for each manufacturer, conducting such a “crash test” of the equipment being produced is a significant event. UETM selected the most powerful power transformer of the type TDTN-40000 as the test object as required by GOST R 52719 / 110. The specificity of this type of equipment is the presence of three-winding short circuit modules. 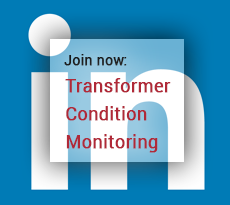 After production and preliminary testing, the transformer was sent to the KEMA test facility located in Prague, Czech Republic. The installation and direct tests of the transformer TDTN-40000/110 were carried out according to the program prepared in accordance with GOST 20243, where 15 test experiments were registered, including 5 of them in a three-winding mode with the maximum possible short-circuit currents. Further, the transformer, according to the existing procedure, was sent back to the plant, where it was disassembled for examination and issuing a final conclusion. Specialists from the KEMA testing laboratory arrived at the plant for inspection, and according to the results of tests and thorough inspections they confidently stated that there was no damage and that the transformer was fully functional. Positive test results of a three-winding transformer of the type TDTN-40000/110 will allow UETM to continue the certification procedure for the possibility of receiving orders for the supply of equipment for such large organizations as PJSC Rosseti, AK Transneft, Gazprom.